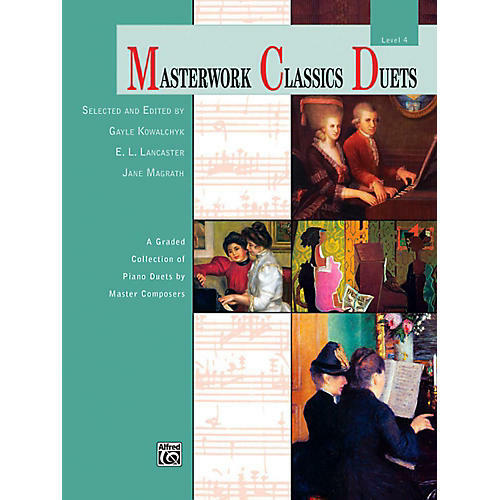 These graded collections of piano duets by master composers are among the best literature available at respective levels. Each duet, written by composers who lived in the 18th, 19th and 20th century, has been carefully edited and fingered for performance ease. Titles: Allegretto in G Major, Op. 824, No. 18 (Czerny) * Andante (Stravinsky) * Immortelle Nos. 1“5 (Spindler) * Katy-dids, Op. 47, No. 4 (Beach) * Mysterious Story, Op. 57, No. 2 (Kirchner) * Sonatina in C Major, Op. 163, No. 1 (Diabelli) * Sonatina in D Minor, Op. 163, No. 6 (Diabelli) * Tarantella, Op. 107, No. 15 (Moscheles).